Atlas of Small Animal Ultrasonography, Second Edition is a comprehensive reference for ultrasound techniques and findings in small animal practice. 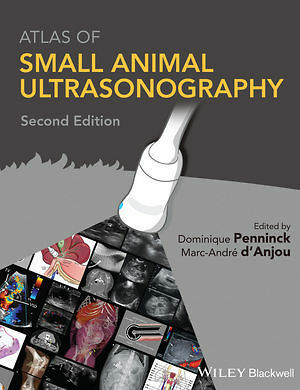 Offering more than 2000 high-quality sonograms and illustrations of normal structures and disorders, the book takes a systems-based approach to ultrasound examinations in small animals. With complete coverage of small animal ultrasonography, this reference guide is an essential resource for veterinary sonographers of all skill levels. In addition to updates reflecting current diagnostic imaging practice, the Second Edition adds two new chapters on practical physical concepts and artifacts and abdominal contrast ultrasound. Complementary imaging modalities and histopathological images have been incorporated to complete the case presentation. A companion website offers access to more than 140 annotated video loops of real-time ultrasound evaluations, illustrating the appearance of normal structures and common disorders. Atlas of Small Animal Ultrasonography remains an essential teaching and reference tool for novice and advanced veterinary sonographers alike.